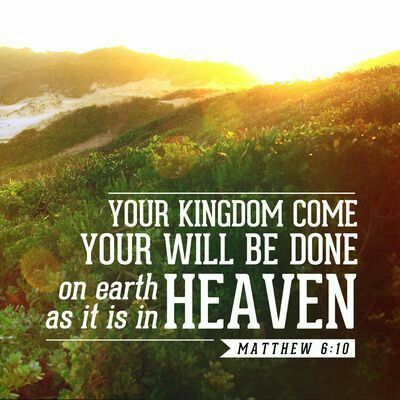 This past Sunday at church, the pastor prayed a focused prayer around this quote from Jesus in Matthew 6:10 – “Let Your kingdom come and Your will be done on earth as it is in heaven.” Jesus said these words after His followers asked Him to teach them how to talk with Father God. As the pastor prayed Sunday morning, my mind started to list all the places in my life where I wanted to ask God to cause His kingdom to come and His will to be done as it is in heaven. I quickly grabbed pen and paper and began writing down my list. I will share that with you below. When you don’t know what to pray, personalize the Scriptures. Take the language of God’s Word, adapt it to be from (or for) your point-of-view, and speak those adapted / personalized words to God as prayers. And let Him speak back to you through those same personalized words. His are the words of life, and they will bring healing and wholeness to your soul if you will let them! Try making a list of your own! Invite God’s kingdom (His rule and reign, His purposes and priorities) to infiltrate every specific area of your life. Name them! And ask Him to let His will be done in each of those areas, personalized for your unique life. What a GREAT blog! 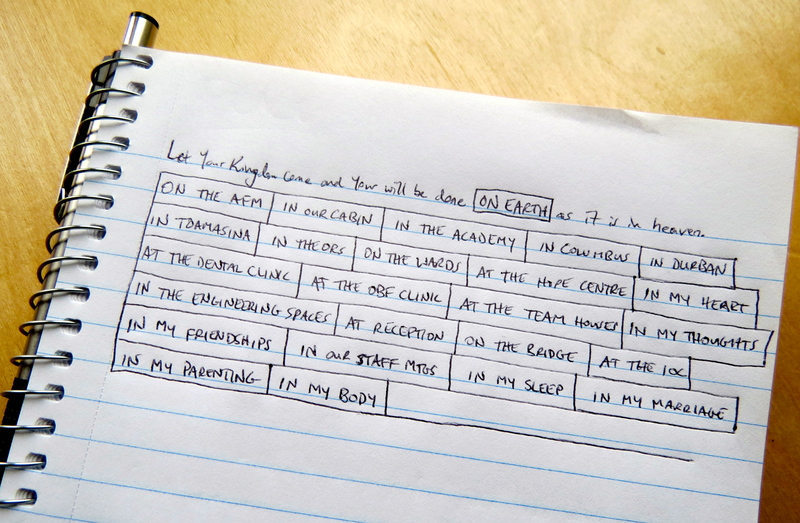 I loved the idea of “making the list” and the picture that you posted was an invitation into your own process. Once again, well done and thanks for the inspiration too.